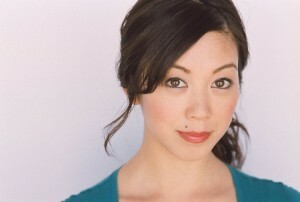 Orange County native Brittany Ishibashi has been cast in “Political Animals,” a six-episode miniseries that will air on the USA Network in the summer, Variety reports. Sigourney Weaver (“Avatar”) will star as Elaine Barrish, a former first lady who throws herself into her job as secretary of state when her marriage falls apart and her presidential bid comes up short. James Wolk (“Lone Star”) plays Douglas, her son and her chief of staff, and Ishibashi, whose recent credits include “The Mentalist,” “Parenthood,” “Fairly Legal,” “House” and “Desperate Housewives,” plays his fiancée, Anne Ogami. Other casting will be announced shortly. Created by Greg Berlanti (“Brothers and Sisters”), the miniseries may become a regular series if it attracts enough viewers.